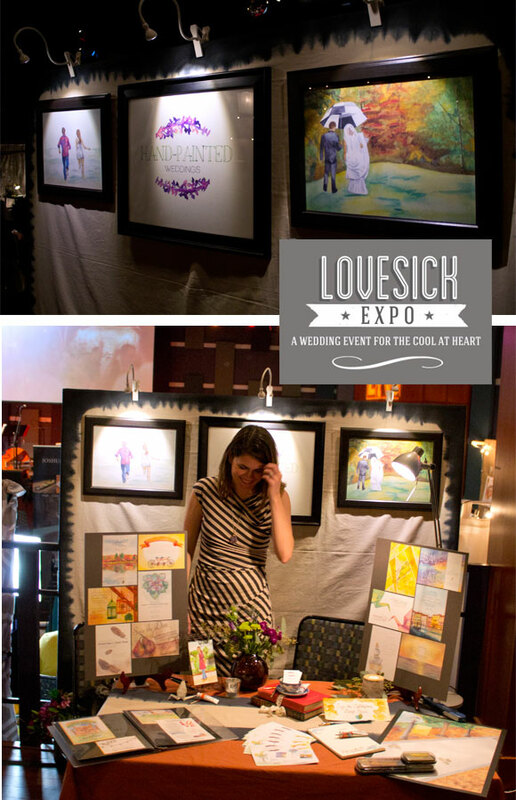 Lovesick Expo Philadelphia was everything I had hoped it would be and more! I loved meeting couples and hearing their feedback about my work and getting excited with them about the possibilities for their wedding day. I loved watching people “sign” the Cobblestone Thumbprint Guest print with their thumbs. 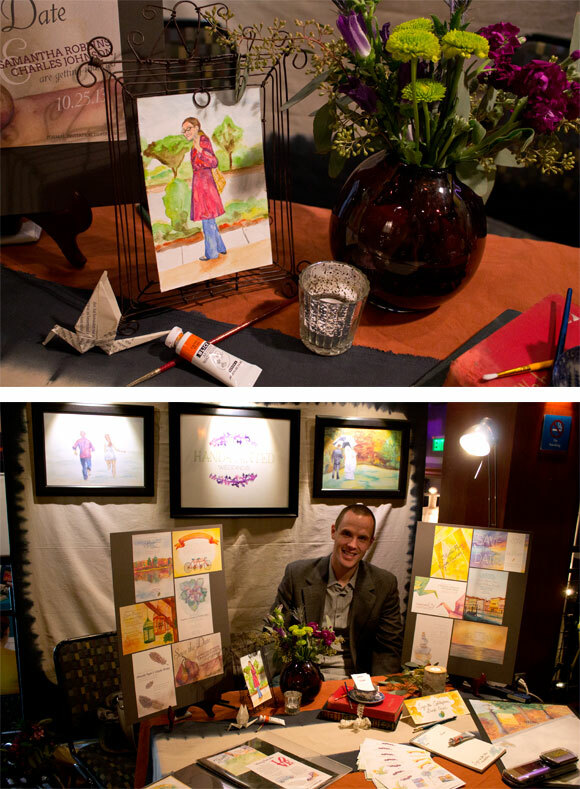 I loved being side-by-side with other super nice talented wedding vendors. I adored getting to meet photographer Krista Leigh Hurst, who I recently worked on an exciting project on…more on that soon. It was so excited to meet the bride who won my veil giveaway a couple of weeks ago, and to catch up with Chrissy from Truly You Events, who I’m currently working with on an awesome backyard wedding invitation suite for a couple. 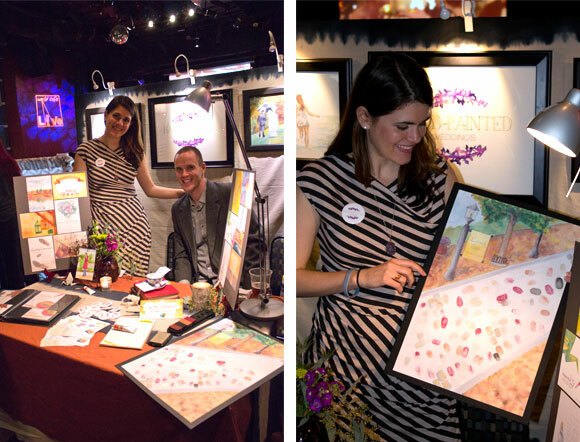 I loved meeting the woman who won the Hand-Painted Cobblestone Thumbprint Guest Print, and seeing how excited she was to have won! I appreciate all the support from my family and friends, and particularly the man by my side always (and at this event), my husband, Carl! Ok, enough gushing! Here is a little recap (with pictures, descriptions below)! Here is my table and backdrop at the expo. Everything turned out beautifully! A little close-up of my table details along with a photo of my helper and partner, Carl. The live music was awesome. 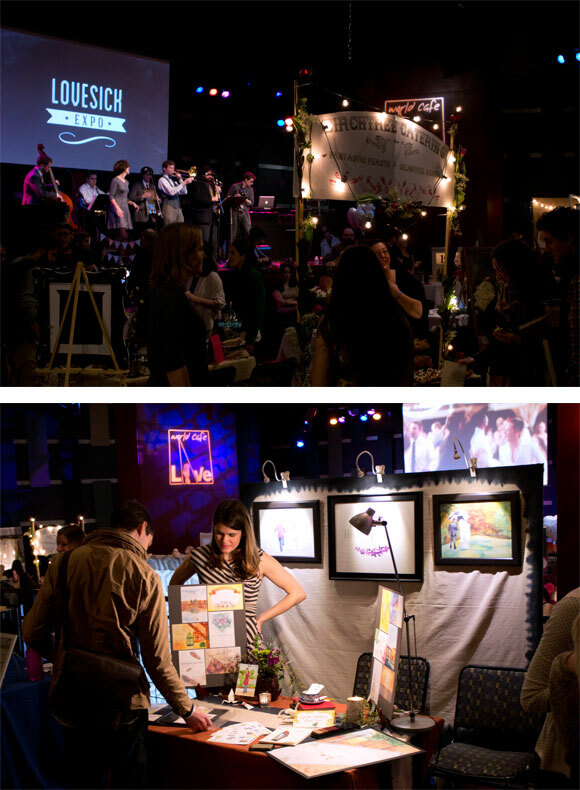 The event really is the coolest event for weddings! I even caught the burlesque dancers this year! I enjoyed talking with people as they perused my portfolio of invitations and save-the-dates! 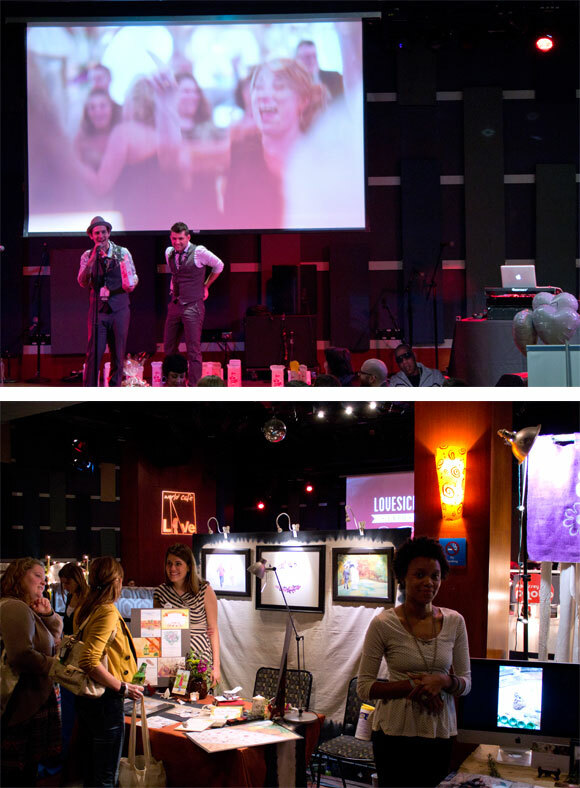 Tom and Jon, the two incredibly nice guys who run the Lovesick Expo are having a blast calling out the raffles. I was very excited to raffle off the Cobblestone Guest print in this raffle! 100% of raffle proceeds benefited Children Can Shape the Future, a 501(c)(3) charitable organization. Here I am standing with Carl at the table and then holding up the “signed” Cobblestone Thumbprint Guest print. I had an awesome day! Thank you so much for those of you that came out for the event! And those of you that are new to my blog, please be sure to follow Hand-Painted Weddings on Facebook to stay up-to-date on new offerings and Shop invitation designs. Awesome event, Allison. You looked beautiful, as well as your display table. Your work is beautiful and I am so proud of you. Keep on moving on!